The dynamic port town of La Libertad, also known as Puerto de la Libertad and located in the coastal crease of La Libertad state in El Salvador, is emerging as one of Central America’s best-surfing destinations for international travelers. Only half an hour from San Salvador, La Libertad’s surf breaks are the most popular of all the El Salvador beaches, though its crowds are still mainly composed of locals and backpackers. Because of El Salvador’s lingering notoriety and its lack of solid tourism infrastructure, you’ll discover fewer tourists on La Libertad compared to other Central America beaches. That means there are fewer luxury resorts than you’ll find in, say, Jaco Beach in Costa Rica, but that also means visitors enjoy a far more authentic Central American experience. On land, La Libertad’s traveler’s scene is all about la vie boheme—reggae music, bare feet, cold beers, and sun-warmed hammocks. However, the real party in La Libertad is out at sea. Many surfers choose to book a guided surf tour through a company like Punta Mango, which offers customized packages and “surfaris” to La Libertad’s surf breaks, as well as extended trips to El Salvador’s Wild East. They also offer surf lessons for beginning surfers. The city of La Libertad offers a full range of accommodations, but it also has a grungy feel that isn't too appealing. Many choose to stay at nearby beaches, which are worth a visit (and a jaunt in the waves) no matter what. El Zunzal (or Sunzal): Named after the village of El Zunzal, this break is a favorite of surfing newbies. El Tunco: At the other end of the beach from El Sunzal, El Tunco is a favorite hangout for liberal types wishing to escape the bustle of La Libertad. El Zonte: Just north of La Libertad, El Zonte is far more tidy, quiet and secure, yet its waves are just as challenging for surfers. Other popular surf breaks near La Libertad are Punta Roca, La Bocana, and La Paz—as well as a whole host of others you’ll have to cajole out of locals experts! The best sunbathing sands are in Playa San Diego, to the east. 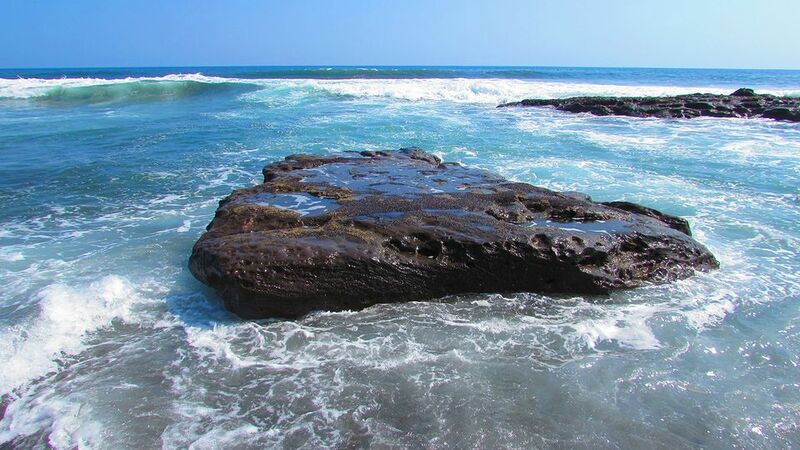 The rainy season on El Salvador’s coast is between May and November. During the dry season, it’s best to visit the beach during the week—La Libertad can be packed with visitors from San Salvador on weekends. Because of its proximity to San Salvador, La Libertad is easy to get to. Buses leave for the city frequently for about fifty cents, though be aware that bus companies often condense its name to “El Puerto”. Despite the gradual rejuvenation of La Libertad and surrounding beaches, robberies still occur. Use caution at night. Help clean up La Libertad! The extensively named Comite de Mantenimiento y Limpieza de la Playa El Tunco (Committee for Maintenance and Cleaning of Playa El Tunco) hosts beach cleanups and other community maintenance events. Explore the Guatemala Lakeside Haven of San Pedro La Laguna.